Swathing the entire human frame like a second skin, enveloping every muscle, bone, nerve and organ is the ubiquitous and unbroken system of tissue known as fascia (connective tissue). Fascia arranges in sheets, supporting, compartmentalizing and organizing the content of your body. 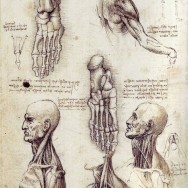 Ideally, the fascia creates and maintains right structural relationships. For an analogy, imagine you have just pitched a tent. To ensure the pole remained horizontal to the plane of the Earth, you used four stakes, endowing each with a tension matching the other three. And having done this, you could curl up content that your tent would cover you through the night. But disincline the center pole from plumb, or unbalance the tensions on the different sides, and what was supportive turns disruptive. Or, take a long umbrella, baseball bat or curtain rod, and balance it vertically on the palm of your hand. So long as it is relatively vertical, small adaptations from your hand suffice to keep the object upright. But if you allow it to slip past a certain point, all the underlying hand can do is compensate for the toppling object with frantic theatrics. You will need to get help from your other hand to set the object back into harmony with gravity. Rolfing is the helping hand your body needs, so that it can stop compensating, and get gravity working in its favor. Physical or emotional trauma, illness, habit or chronic strain can cause fascial sheets to become twisted, dry and restrictive where they ought to be spacious, moist and breathable. When the fascia winds tight, the legs, pelvis, back, arms and neck compress and rotate. Rolfers are trained to see and to palpate patterns of strain in the facial network, and to release these using hands-on work, movement cues, breath and education in anatomy, body-awareness and use. Increasingly, balance is created from front to back, side to side and surface to deep, until your entire body glides and hums where once it tugged and ached.